Slice your tomatoes in half and cut your mozzarella into bite-size slices. Rinse and dry your fresh basil. You can tear the larger leaves in half. 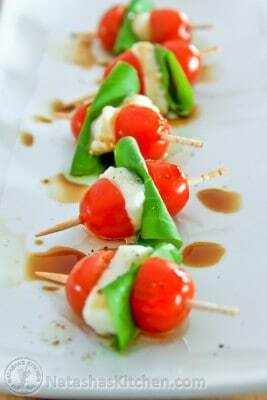 Skewer onto a toothpick with the basil and cheese sandwiched between your tomato halves.